Independent candidate Seán Gallagher has moved into the lead in the Presidential election, according to a Red C poll for the Sunday Business Post to be published in tomorrow's paper. The poll suggests that Seán Gallagher has jumped 18 points since the last Red C poll nine days ago, and is leading on 39%. The Red C poll shows Michael D Higgins is in second place with 27%. Martin McGuinness is down three points to 13%. Gay Mitchell is down two points to 8%. David Norris is down seven to 7%. Mary Davis has lost five points to 4%. Dana Rosemary Scallon is down three points to 2%. 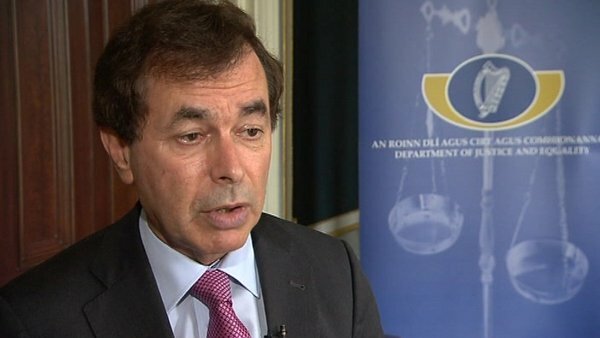 The poll was taken on Monday, Tuesday and Wednesday, before the RTÉ Prime Time debate was held. Presidential candidate Dana Rosemary Scallon campaigned in the Claregalway area of Co Galway where she now lives. She said it was deeply upsetting that more revelations about a dispute within her family were being leaked to newspapers and the internet. Ms Scallon has described allegations of a sexual nature against a member of her family as vile and malicious and she said she was standing over her statement. She said she had taken two days off from the campaign trail to receive legal advice on the family matters under scrutiny and is now moving forward to concentrate on the Presidential election and crucial issues that were of importance to the people of Ireland. Martin McGuinness continued his tour of the South East today with visits to Waterford, Carlow and Kilkenny. Independent candidate Mary Davis campaigned in Dublin today and attended the 'Presidential Youth Forum'. Ms Davis has said that people have been telling her that they want someone to represent them with dignity and pride. Heavy rain drove Fine Gael's presidential candidate Gay Mitchell indoors in Skibbereen where he met with early morning shoppers and tasted some local black and white pudding. Accompanied by his wife Norma and local FG activists, he then went on to Michael Collins' hometown of Clonakilty where he posed for photographs at his statue. Asked how he was faring with less than two weeks to go, Mr Mitchell was buoyant about his chances saying the only poll that matters is on 27 October. He was critical of the campaign so far saying it had turned into a celebrity competition. Senator David Norris said there is still quite a lot of swing votes to be won. He said it is all going to come down to preferences and the rest of the campaign would be very busy with meeting people and listening to their questions and answering. Labour's presidential candidate Michael D Higgins said he finds people are more interested in the presidential campaign now, with people asking him about what powers the President has. He predicted that there will be a higher turnout than in previous presidential elections. 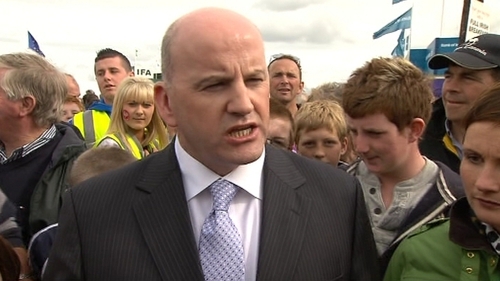 Sean Gallagher has placed €1,000 charity bet that he will win the presidency. If he does the proceeds will go to the Irish Guide Dogs for the Blind. Mr Gallagher has said that he hopes that the personalised tone will change for the last remaining days of the campaign. He said that he takes nothing for granted despite the great reception to the positivity of his campaign.